Have you ever had the Caramel Apple Spiced Cider from Starbucks? I’m telling you, that drink is pure heaven! (Seriously, if you’ve never had one, you need to order one next time you go to Starbucks.) Then, of course, you’ll have to hit the grocery store and buy the ingredients to make your own! I have another batch going in the crock pot right now. It’s the last day of school before the holiday break and I thought I would surprise the kids with a special treat. They love this stuff too. 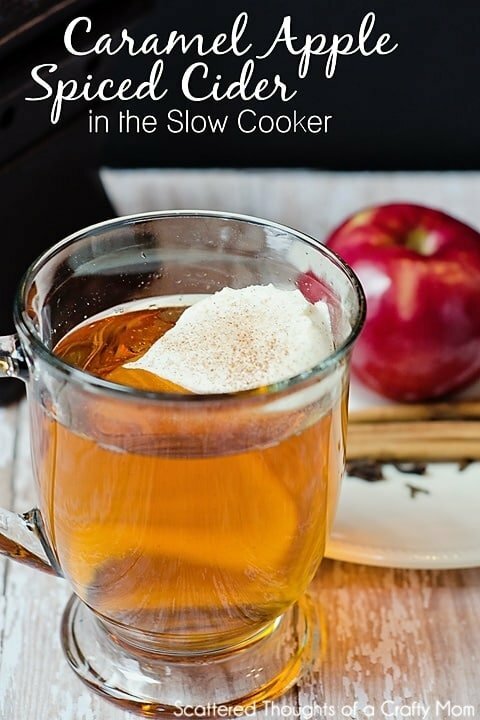 Add the apple cider and caramel syrup to the slow cooker and stir together. Drop in the cinnamon sticks and cloves. Top with a little whipped cream, cinnamon sugar and don’t forget the caramel syrup drizzle! Love this! Add chai and make it even better! Well now that you've supplied us with the recipe for making this superb drink why would I go to Starbucks to buy just one? Making the drink myself I could have more than one. You didn't say how many it provides from this recipe. And a scarey thought I guess for some but I've never been in a Starbucks in my life. It's in Grand Junction, and since I'm on a very limited SS budget I couldn't afford one if I had any money. We live about 18 miles or so west of Grand Junction and Starbucks. No I don't feel deprived, maybe someday I'll really spurge and pop in for a coffee. That's what happens when a person is born to depression era survivors, it's in your blood to save any way you can, lol. Enjoy your blog very much and all the great blog parties. Hope you and yours have a wonderful happy, healthy Christmas. Love Love Love Apple drinks! 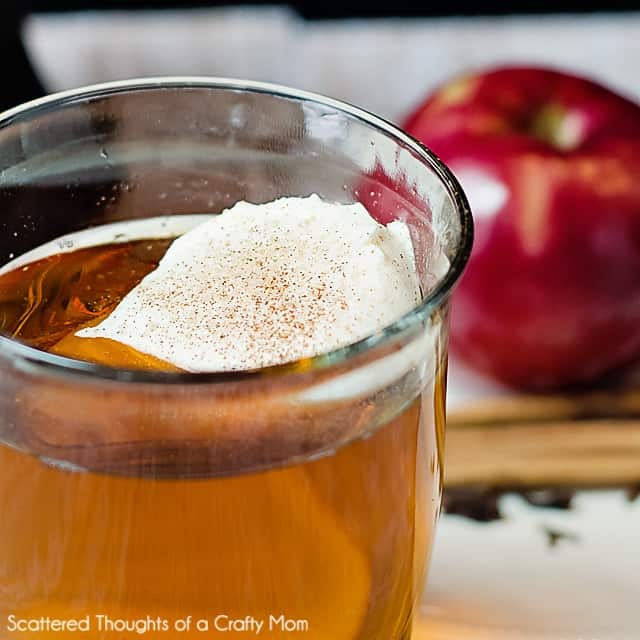 I just discovered that I love apple ciders, I need to give this recipe a try stat!